St Mark, St Thomas and St Michael – a trinity of Unitarian saints? In my previous post about Rev Porter Orr I mentioned St Thomas’ Unitarian Chapel in Ringwood, Hampshire. This particular meeting house (which closed in the mid-1970s) had the rare designation for a Unitarian chapel of being dedicated to (or at least named after) a saint. This is not unique – by far the most famous Unitarian church named after a saint is St Mark’s in Edinburgh – but it is worth giving some consideration to. Victorian Unitarian church builders could often be quite keen on saints, of course. In the era of gothic rebuilding in the nineteenth century decorative windows featuring Burne Jones saints were often inserted, as the above view of the chancel of Ullet Road Church shows. Most Unitarian churches get very dull names, they usually get called after the street they are situated on or the district they are in although sometimes more interesting terminology can be applied such as ‘Great Meeting’ or ‘New Meeting’ (or indeed ‘Old Chapel’). What they tend not to be is named after saints. That is not to say that Unitarians couldn’t be creative – and also very orthodox – in their church names when they wanted to be. A quick trawl through the invaluable Vestiges of Protestant Dissent published by George Eyre Evans in 1897 (which contains a list of all the Unitarian congregations at that time) reveals no less than eight congregations called ‘Christ Church’ ( I think Bridgwater may be the only survivor of this group). Not mentioned in Vestiges are most of the three churches that I can think of called ‘All Souls’’. This designation probably comes from a slightly later period (All Souls’, Belfast had just been built in 1896) and although to outsiders this probably comes across as a very high Anglican name it is really a more typically Unitarian name in the twentieth century than Christ Church, although the use of this name in England, at least, has ceased I think. Other popular nineteenth-century Unitarian names (none of them still in use so far as I know) were ‘Church of the Saviour’, which was used by three congregations, and the ‘Church of the Messiah’ and the ‘Church of our Father’ which each had a single use. More overtly Unitarian names were ‘Unity’, which had five takers in 1897 some of them still continuing today, and one ‘Church of the Divine Unity’. What Unitarians have tended not to do is name churches after individuals –saints in the sense of the people of God – but there are three examples of this that I can think of – Matthew Henry, John Pounds and Edmund Kell, who all have their congregational memorials. Methodist Unitarians were very keen on Biblical names for their churches – ‘Bethlehem’ and ‘Nazareth’ being the best-known examples of this. In Vestiges there is also one obscure ‘Salem’ founded as a break away from Calvinistic Baptists in King’s Lynn in 1811. But naming a Unitarian church after a saint is something that does raise questions. How and why did the congregation select that saint? Which saint of that name did they actually mean? Was there ever any suggestion of the congregation being directly inspired by that saint? It is often thought that St Mark’s Church is a unique example of the naming of a Unitarian church after a saint but clearly that is not so. 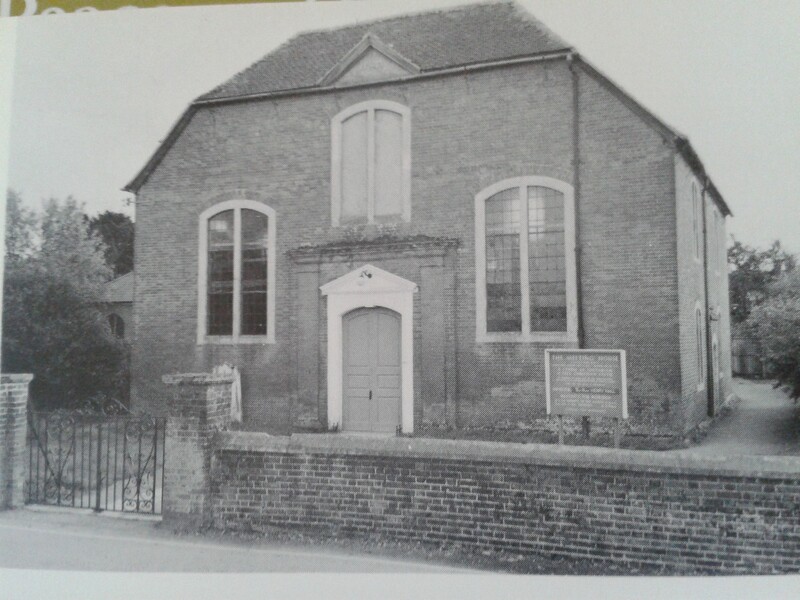 What is curious about Ringwood is that the chapel (which is now an interpretative centre for local history) was built in 1727 but only started using the name of St Thomas some time in the first half of the nineteenth century. Why this was so is anybody’s guess. The name was certainly used for a long time, the Rev John Midgely has found instances of it being used in advertisements in the Inquirer in the 1930s, although it seems to have been dropped before it closed in 1975. What is different about St Mark’s in Edinburgh is that this was the name chosen at the time of its building in 1835 and in use ever since. The Rev Andrew Hill has suggested that no one knows why the name was chosen, but presumably the gospel writer was regarded with favour by the Edinburgh people. But, according to the Vestiges, there was another chapel that took the name of a saint. This was St Michael’s Chapel in Selby. This congregation dated from 1672 and built a new chapel in 1699 which G.E. Evans suggests was called St Michael’s from the start. This seems unlikely in 1699 but the name was definitely in use for a long time and was transferred to the modest new building that was finally opened in 1903 (following some years in a temporary building from 1886). The congregation closed in 1968 according to The Unitarian Heritage and the building passed into other uses, although it still seems to stand. So there we have the three Unitarian churches named after saints. There were quite a number of churches built on streets with saints’ names – St Nicholas’ Street etc – and there are a few examples of Unitarian chapels later being consecrated by the Church of England and being given a saint’s name. But these are the only three that are definitely named after saints. Can anyone shed any further light on them? It would be interesting to hear any accounts of either St Thomas’ or St Michael’s or indeed of any other saintly churches. In the meantime we have a Unitarian trinity – St Mark, St Thomas and St Michael. “The congregation at Selby traces its origin to the visit of a puritan preacher, Noah Ward, from York, in the year 1660. As an itinerant minister he continued to make frequent visits to Selby down to the time of his death, which occurred in 1699. It is said that in honour of the memory of this preacher St. Michael’s Chapel was built in that same year by a gentleman of the name of Barstow. It seems to have owed its name to the fact that one of the Christian names of the said gentleman was Michael, whose good deed it was thought would be perpetuated by calling the place after Michael the archangel. 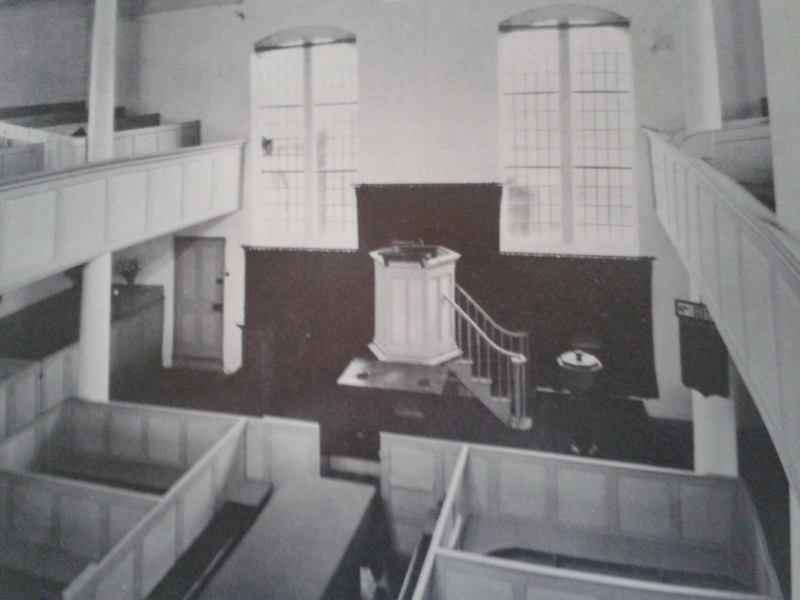 After the death of Mr. Barstow the Chapel was given in trust by his widow, Alice Barstow. contemporary with the Barstow family there were two other families of similar social standing who were associated with the Chapel; these were the Bacons and the Morritts. Beatrix Bacon, wife of Christopher Bacon, bequeathed the land near the town, from which a portion of the minister’s stipend is still paid. A silver Communion Cup is still preserved, on which is engraved: “The Gift of Beatrix Bacon to the Selby Chapel.” The first minister was John Troviss; who was followed by a John Hodgson, and on the removal of the latter to Lincoln, a Mr. Foljamb took his place. From this date until nearly the end of 1886, when worship in the old Chapel ceased on account of its dilapidated state, there were eight ministers of whom Thomas Smith was the first and J. M. Pilkington the last. The new chapel, which is of red brick and on the old site, has been erected to an approximate cost of £400, including the interior fittings, and has accommodation for 125 It was opened on September 24th, 1903, the Rev. Ceredig Jones, M.A., of Bradford, preaching on the occasion. the present minister is the Rev. John Dale.” From: The Unitarian Chapels of Yorkshire. Does anyone remember the chapel built in 1903? Dare one ask is the silver communion cup still preserved today?